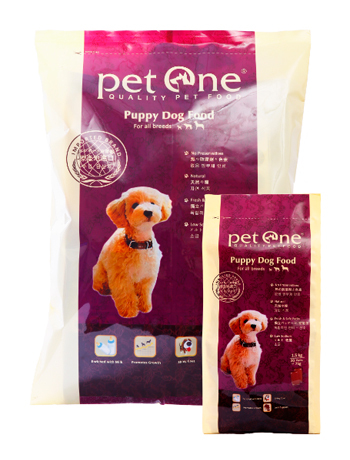 Pet One Puppy Food is recommended for growing puppies less than 1 year old. 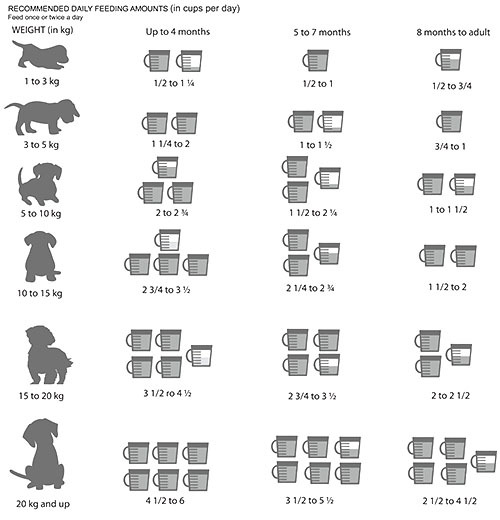 This dog food variant available in small kibble sizes is rich in Omega 3 and 6 for healthy brain growth. It also contains milk as a source of calcium for better development of strong bones and muscles, as well as vitamins and amino acids for optimum skin condition and body shape. Poultry meal (pet food grade), milk and dairy by-products, high protein soybean meal, rice and rice by-products, beef tallow preserved with mixed tocopherols (a natural source of vitamin E), flax seed, banana flour, yeast extract, spray dried whole egg powder, lecithin, chicken liver oil, calcium phosphate, amino acid supplements (L-Lysine HCl, DL-Methionine, L-Threonine), choline chloride, yucca schidigera extract, salt, trace minerals (copper sulfate, ferrous sulfate, magnesium sulfate, manganese sulfate, potassium iodide, sodium selenite, zinc oxide), Vitamin supplements (vit. A, vit. D3, vit. E, thiamine mononitrate. riboflavin, vit. B6, vit. B12, niacin, biotin, folic acid.